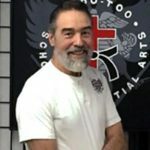 A resident of Denver, Colorado, and a computer professional for nearly 4 decades, Bob Orlando was introduced to the martial arts while on active duty in the U.S. Marines (1961-1964). However, it was not until after he left the service that the flicker of interest that was kindled there became his consuming fire. Ever a student of the arts, Bob’s quest for knowledge has taken him into aikido, Small-Circle Jujitsu, grappling, iaido, arnis de mano, and eskrima. However, what has impacted him the most are the years he has spent studying Chinese kuntao and Dutch-Indonesian pukulan pentjak silat under Dutch-Indonesian master Willem de Thouars. After a decade of training with de Thouars, Bob received his teaching certificate from him in 1994. A graduate of a Jesuit university, Bob authored Indonesian Fighting Fundamentals: The Brutal Arts of the Archipelago and Martial Arts America: A Western Approach to Eastern Arts. He also produced three videos: A nearly two hour production, Fighting Arts of Indonesia: Combat Secrets of Silat and Kuntao (a companion to his first book); a two-tape video production titled, Reflex Action: From Training Drills to Fighting Skills; and a four volume DVD series, Fighting Footwork of Kuntao and Silat. 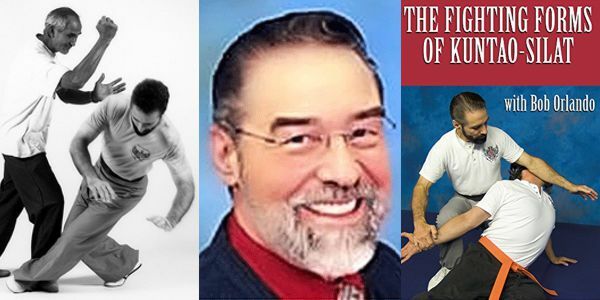 Although he was not a “professional” martial artist (one who makes his living from martial arts), Bob considered himself a “full-time” practitioner, for he studied and trained constantly. His school was a small one, and that’s just the way he liked it. Our school is our laboratory. There, we test everything from the practicality of forms training and techniques, to the latest craze in self-defense. 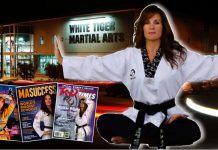 We have a formal curriculum–from white to black belt–although it is not cut in stone. I guess that for us, the cement is never quite dry, for we are constantly learning. I have skills. After more than 35 years in the arts, I ought to. But my skills came not because I have any natural physical talent, but because I worked very hard to get to where I am today. My strengths are my singleness of purpose (my unwavering desire for excellence in self-defense) and my analytical mind. My contribution to the art comes not from what I can do physically. Rather, it comes from my God-given ability to share what I know with others. I take the complicated and make it simple. I am a teacher. Bob Orlando was born on October 26, 1944 and sadly, he passed away on in August 11, 2012 after a lengthy fight with Lou Gehrig’s disease. 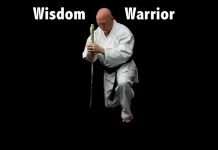 Bob Orlando a follower of Christ, a Marine, an outstanding martial artist, a fierce competitor, a fair(!) Judge and the one we all looked to explain and enforce the rules at sporting events for the Colorado Karate Association. Bob was active in prison ministry where he called “broken” people and outcasts by most counts to a higher standard… not by judgment but by pointing to his own helplessness apart of Christ. Bob authored two books and 3 videos. Indonesian Fighting fundamentals: the Brutal Arts of the Archipelago and Martial Arts America: A Western Approach to Eastern Arts. A Founding member of the CKA (Colorado Karate Association), Bob was the voice of reason and of fairness. Many a dispute was settled in the presence of his calm, yet firm voice. where he tirelessly worked to hone his own skills and teach other. Bob lost the fight of his life after bravely battling ALS for two years. Even to the end he was working on Bible teaching for inmates and discussing God and martial arts with anyone that would sit still. Born on October 26,1944 and went to be with his Lord on August 11, 2016. Bob’s wonderful life will be cherished in the lives of his wife Mary Jane, his son Tony (Tasha) Orlando and their daughters Angelina and Julianna, his son Gilbert Orlando and his sister Kathy (Chick) Legasse. 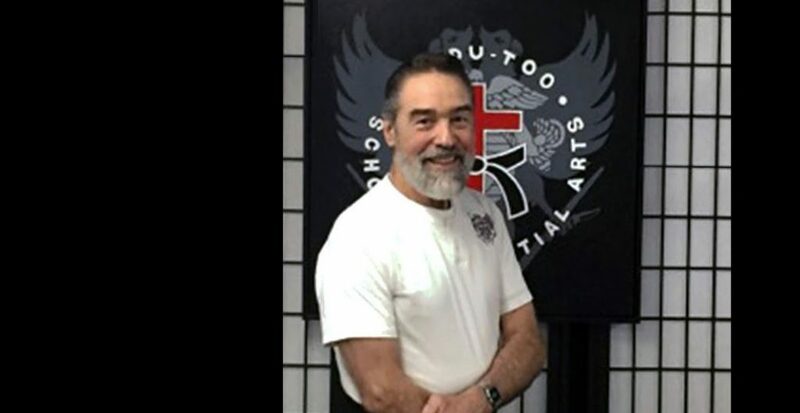 Bob Orlando was a follower of Christ, a Marine, an outstanding martial artist, a fierce competitor, and author of martial arts books and a founding member of the Colorado Karate Association. 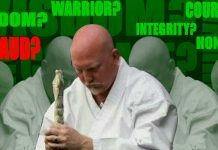 Martial Arts and Christian Beliefs, Are They Incompatible?